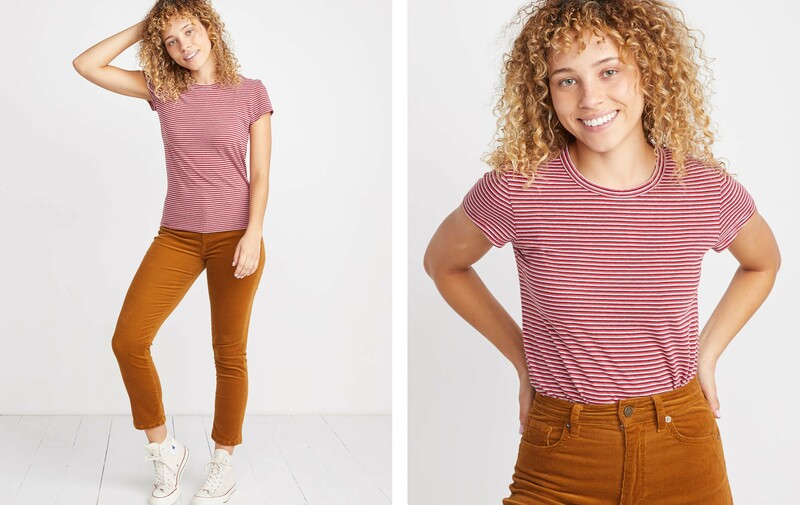 We're the first to admit that we love a good stripe. 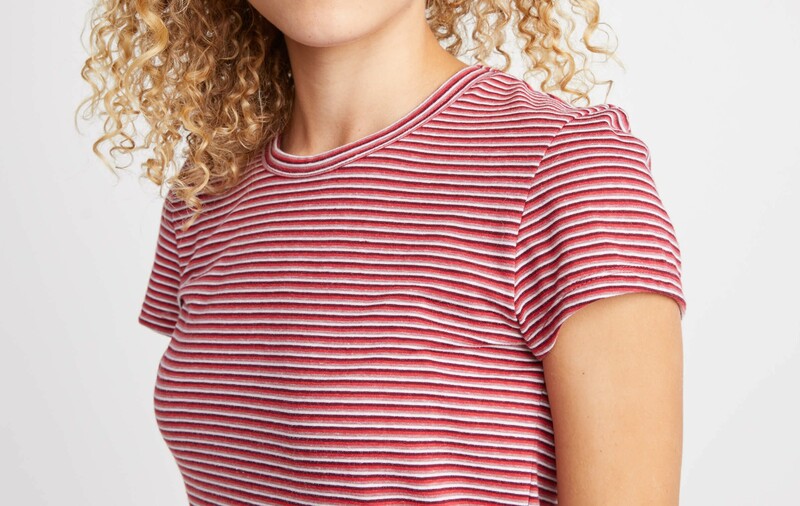 But this might take the cake for our favorite stripe of the season. It's custom, which means we chose the colors and pattern ourselves. And it means you won't find it anywhere else. Featuring true holiday colors that also feel a little vintage. Our signature Tri-Blend Fabric: Tri, for three, different fabrics blended together. 50% Cotton + 38% Poly + 12% Rayon = Tri-blend. Voilà!